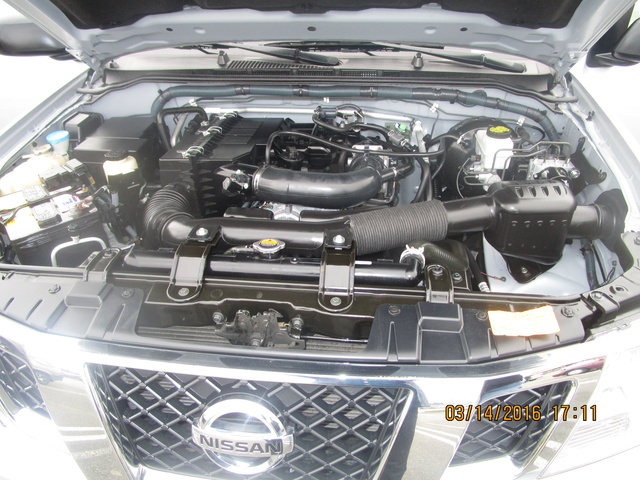 The 2011 Nissan Frontier provides strong engine and transmission choices on a solid chassis with an uncomplicated trim lineup. With a too-tight turning radius and a noisy cabin in the off-road trims, the 2011 Nissan Frontier has the capability to annoy. My first car was a truck - a little green pickup with a 4-cylinder engine, a 5-speed manual and rear-wheel drive. I’ve always assumed I’d get another one someday, and the Frontier has been high on my list, so it’s sad to think this, too, may go away soon, leaving the Tacoma to man the top of the compact pickup pile alone. Until then, Nissan and the Frontier can bookend the compact pickup story with one of the best offerings in the history of the class. As compact pickups continue to dwindle into extinction, Nissan still holds the mantle of the class it created. With some trim shifting and rumors of impending discontinuation, the Frontier enters 2011 at the top of an increasingly short pile, as Ford's Ranger and Dodge's Dakota both bow out this year. Available as a Crew or King Cab with front or rear-hinged doors, respectively, the Frontier comes in an entry-level S trim, new SV, off-road PRO-4X and top-tier SL trim, which is available only in the Crew Cab configuration. Despite its name, the King Cab is the lesser of the two options, demonstrated by trim and option availability. For instance, all Crew Cab trims are powered by the larger 4.0-liter V6 engine, while you can get an S or SV King Cab with a 2.5-liter inline 4. Bed length options play out the same, with the King Cab being stuck with the 6.1-ft length while Crew Cab trims can opt for a smaller 5-ft bed. Even this sounds confusing, but it’s a world of simplicity compared to most pickups, which are available in a wealth of bed and cab and trim and engine combinations that read like a Chinese menu. Regardless, both engines are capable powerplants, even if the 4-cylinder feels a bit sluggish at times. Remember, we’re not racing here. With 152 hp and 171 lb-ft of torque, it’s not a powerhouse, but it’ll get the job done with a 3,500-pound towing capacity. However, the 4.0-liter V6 is the most powerful in the class, with traction and stability control, 261 hp and 281 lb-ft of torque. It’s not skull-slamming power, but it’ll up the towing capacity to 6,500 pounds, and that’s what counts in a pickup. King Cabs are sprightlier than the heavier Crew Cab trims. A 5-speed automatic is standard in the SL trims and optional in other versions, which have a choice of a manual as well. 4-cylinder trims get a 5-speed, while the V6 gets paired with a 6-speed. Manuals operate without drama, with solid clutch engagement and gears that land confidently in place. The automatic transmission is smooth as well, handling gear changes both up and down with assured rapidity. For 4-cylinder Frontier trims equipped with the 5-speed manual, the EPA estimates a return of 19/23 mpg, dropping to 17/22 with the 5-speed automatic. V6 versions start with the 6-speed manual, which lands further down the scale at 16/20, while the 5-speed automatic paired with the V6 drops to 15/20. Adding 4WD into the mix hurts economy further at 15/20 with the manual and 14/19 with the automatic, however all trims use regular-grade gasoline. While the Frontier will exhibit all the usual characteristics of pickup driving, it comes with the sophistication that you’d expect from a modern vehicle. Yes, bumps, lips and ripples will translate through the suspension, but they aren’t annoyingly harsh, and even the skittish sideways hop that will occur in fast cornering can be quieted with subtle accelerator adjustments. Steering has a distinct heft to it that can get tiring at low speeds, especially when parking. 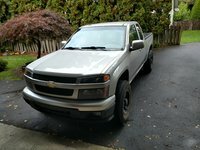 However, special attention must be paid to the PRO-4X trim, with its stiffer off-road suspension, knobby tires, skid plates and locking center differential. It helps the Frontier handle rough terrain capably, but makes it a chore on smooth pavement with its rigid suspension and noisy tires. Best to shy away unless you’re planning on eating trail regularly. The S trims are about as bare-bones as a truck can get these days, with a power package not even bothering to make an appearance until the more livable SV level. In King Cab configuration, the S isn’t even available with 4WD or a stereo, but at least it comes with a full-size spare and painted front and chrome rear bumpers. The S Crew Cab adds stability and traction control, which should increase your comfort in the cabin since you won’t be sliding around as much. You’ll also get air conditioning, a CD player, tilt steering wheel and a rear defogger. The SV adds cruise control and the previously mentioned power package, which includes mirrors, windows, doors and remote keyless entry. 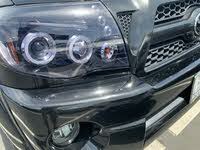 You’ll also get a chrome front bumper to match the rear and alloy wheels. The SL on the other hand offers plenty of features you wouldn’t expect in a small pickup, like a leather-wrapped steering wheel with controls for the Rockford Fosgate satellite-ready stereo, heated power mirrors and the appropriate visual cues like side steps, roof rack, foglights and a bedliner. The National Highway Traffic Safety Administration (NHTSA) has yet to release its crash test info on the Nissan Frontier under its new, more rigorous standards for 2011. However, 2010’s results show very positive scores, with a four-star rating in front collisions, five stars for side impacts and four stars for rollover resistance, excepting the RWD Crew Cab, which earned three stars. With the Frontier’s utility and relative economy, it has garnered plenty of positive comments from owners. Both engines have received praise, as well as both transmissions. The PRO-4X has been called uncomfortably stiff on dry roads, with its off-road tires making too much noise. The wide turning radius has likewise provided frustration for owners. 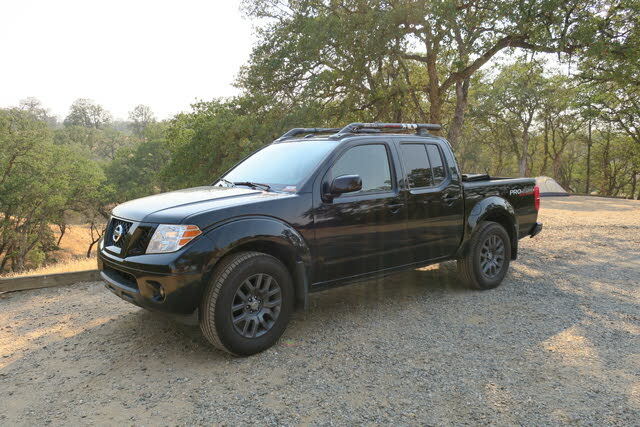 What's your take on the 2011 Nissan Frontier? 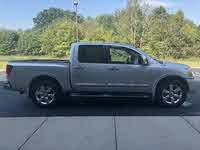 Have you driven a 2011 Nissan Frontier? My AC stopped working. Was told it was a leaking condenser. Now the ABS light is on. Is there any correlation? the red light on the back cab of my 2011 Nissan truck wont go out, after I exit the truck. and also when i leave my truck and push the lock button on my keys, there is no sound.. what is wrong?